MANILA - Over 600 Chinese vessels have been circling Pag-asa Island (Thitu Island) in the West Philippine Sea since January this year, the military said Friday. The Western Command of the Armed Forces of the Philippines expressed alarm over the presence of Chinese vessels, noting that these are very near the Philippine island and are almost stationary. 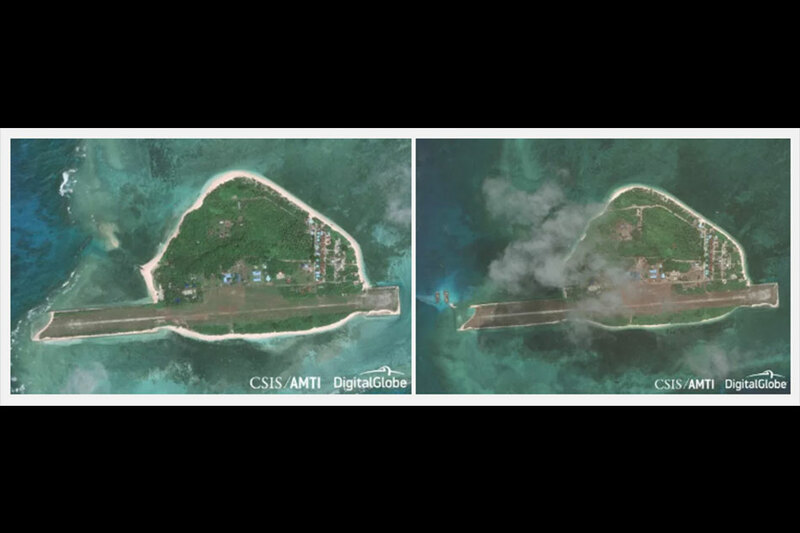 "The foreign vessels monitored in Pag-asa Island are all Chinese fishing vessels deployed in the vicinity of the sandbar," LTC Elpidio Factor of the AFP Western Command told ABS-CBN News. "These vessels are considered as Chinese maritime militia and are occasionally complemented by Chinese Coast Guard vessel to sustain China’s assertive presence in the vicinity of the sandbars," he added. The Philippines and China have long figured in a maritime dispute, as Beijing refuses to recognize a UN-backed arbitral tribunal's ruling that invalidated its sweeping nine-dash line claim over the South China Sea. Philippine authorities have repeatedly raised concerns over China's activities in the disputed waters, particularly militarization efforts, which Beijing has denied. On Feb. 10, the military recorded the highest number of Chinese vessels circling Pag-asa Island at 87. It was also the same day that the AFP brought construction equipment to the island to fix the facilities there. The repair of the runway ramp in Pag-asa Island is expected to be finished by July, the military said. Aside from Pag-asa Island, the military noted that more Chinese vessels are also circling the islands of Kota and Panata. "Furthermore, the command is also aware of the reported presence of more than the usual number of Chinese maritime militia at sandbar number 2. This is also monitored in Kota and Panata Islands," Factor said. 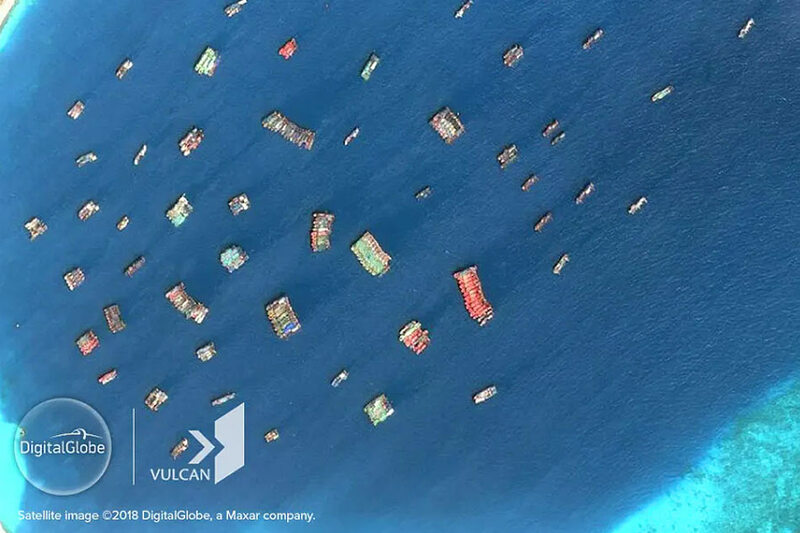 Satellite images taken in 2018 and released earlier this year showed that Chinese fishing vessels account for the largest number of ships operating in the Spratlys in the West Philippine Sea. Maritime expert Prof. Jay Batongbacal said China's actions are a preview of its future plans. "Sa pamamagitan ng mga activities nilang ganito - non-threatening, apparently unarmed, and using their civilians, lumalawak talaga 'yung access nila sa lugar pati 'yung mga lugar natin na hindi nila sana dapat na a-access, nalalapitan na nila ngayon," he said. "So in the future baka tatapakan pa nga nila yon, baka pumasok pa talaga sila," he added.